For other countries click here. 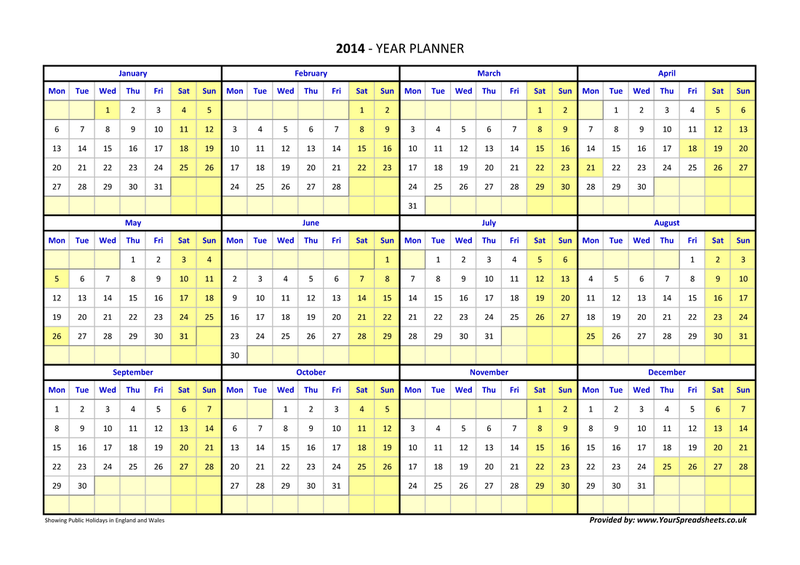 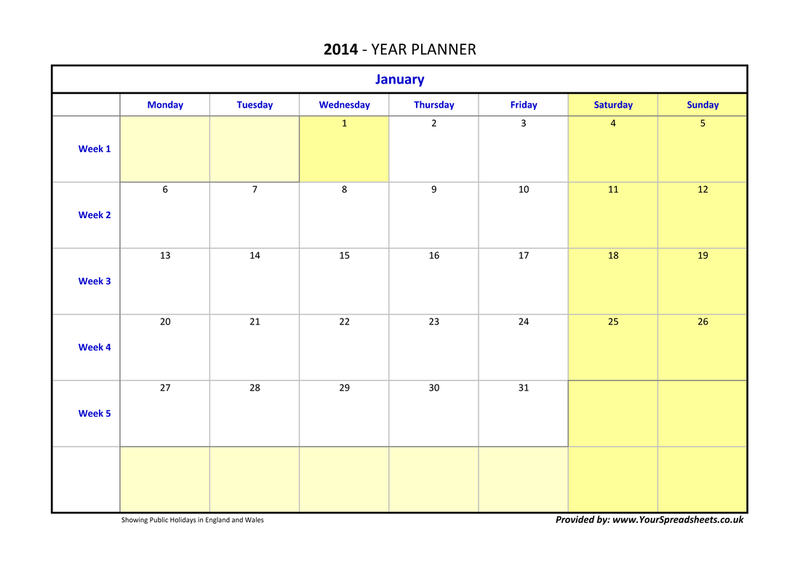 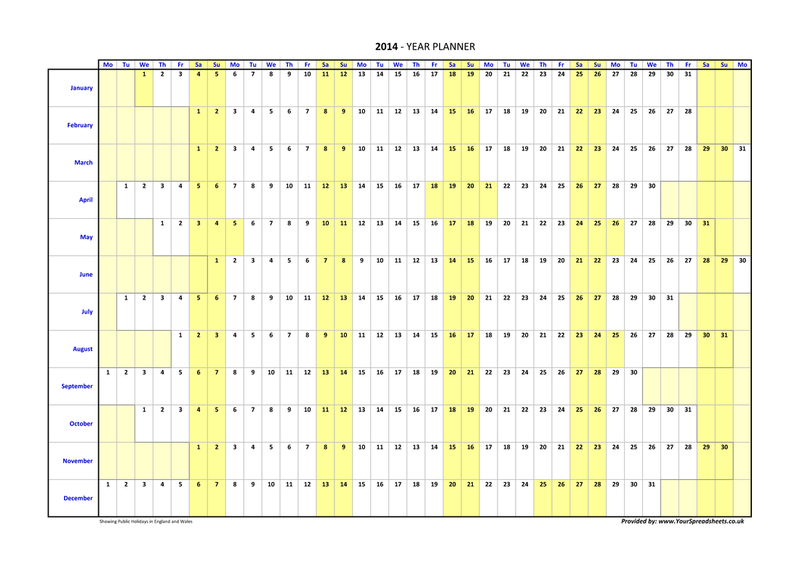 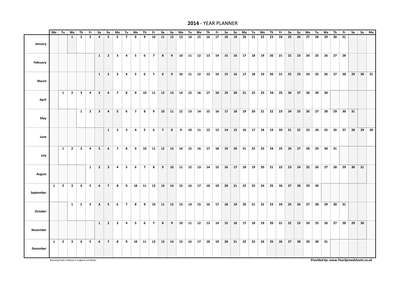 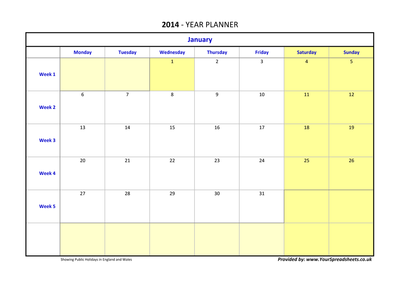 In this section you will find FREE 2015 Year Planners in Excel format (free for personal and commercial use). 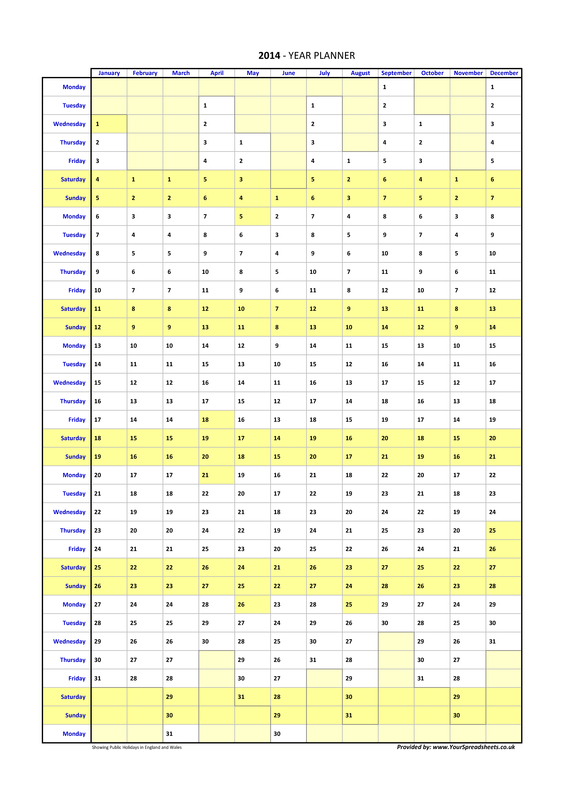 These files can be freely distributed but only in their original form, the filename(s) must include the following: www.YourSpreadsheets.co.uk. 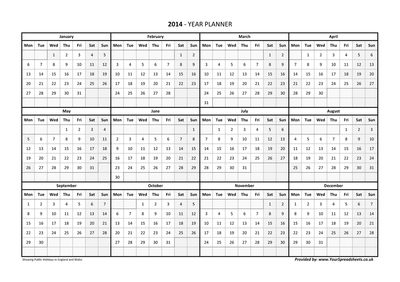 If the file(s) is to be posted on a website then the following sentence must be included: Title block file provided by www.YourSpreadsheets.co.uk. The web address must be a direct hyperlink and must be clearly visible. 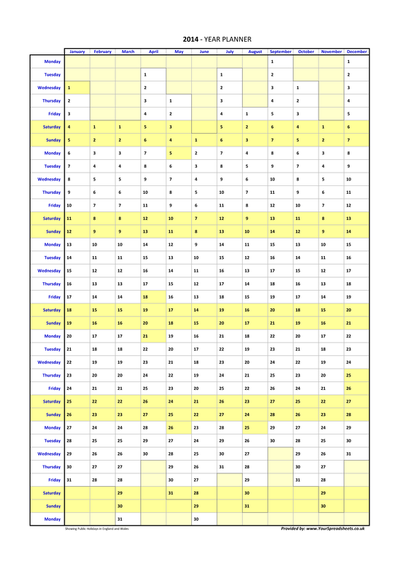 Note: I do not take any responsibility for these files, use them at your own risk.